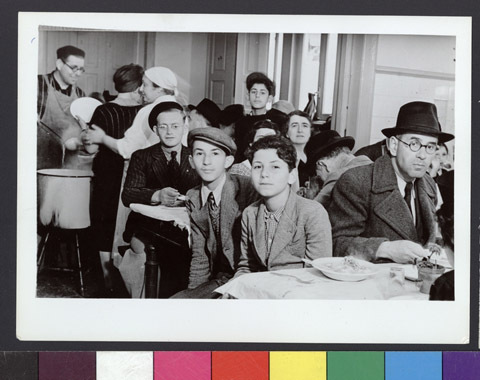 JDC - Archives : Refugees of all ages eating a meal in a JDC supported soup kitchen in Lisbon. A man in the background distributes food. Title Refugees of all ages eating a meal in a JDC supported soup kitchen in Lisbon. A man in the background distributes food. Description Refugees of all different ages having a meal in a large room in a Lisbon soup kitchen supported by JDC, which feeds approximately 1500 people daily.